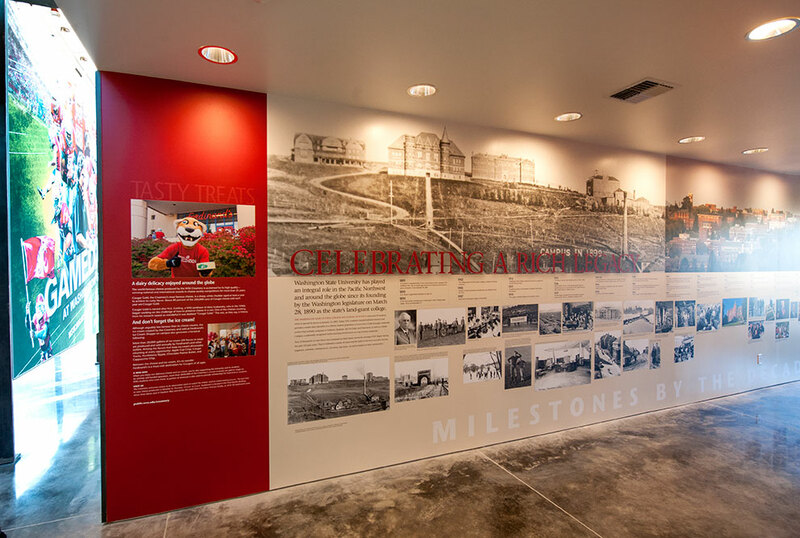 Located in downtown Pullman, the Breslford WSU Visitor Center serves as a gateway destination for visitors to campus. 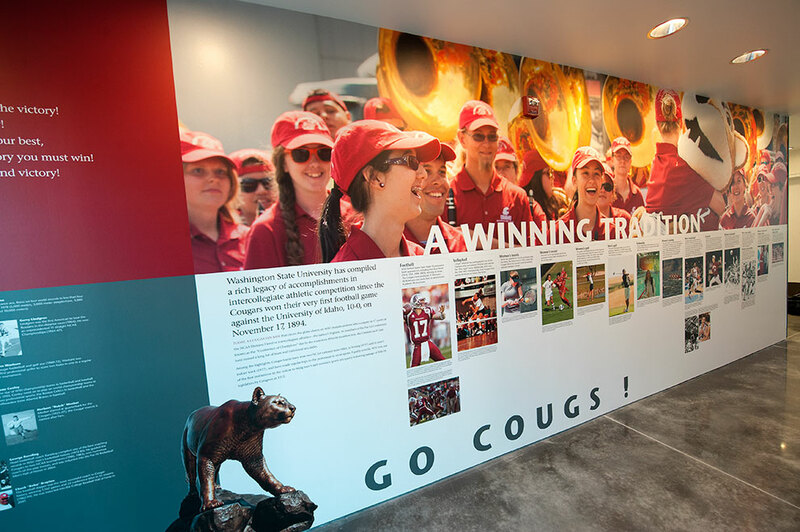 Vibrant wall graphics, signage, and touchscreen presentations dazzle visitors’ senses and welcome them to WSU. Since its opening in October 2013, the Center has attracted about 200 visitors each week.